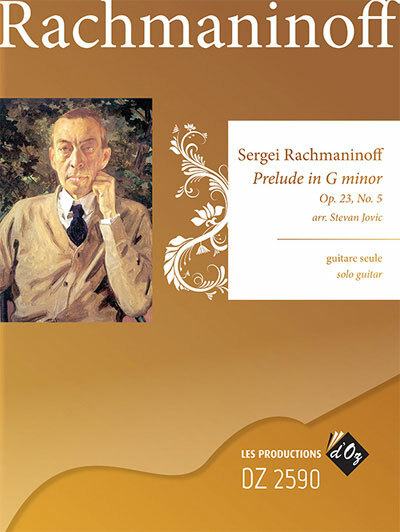 As indestructible as Rachmaninoff's c-sharp-minor Prélude may be, it is not his only Prélude to have begun a "solo career" of its own: with its rousing rhythms and rhapsodic middle section, the famous piece in g minor certainly takes its place among them. Always love Savarez strings. The Stevan Jovic’s arrangement of Rachmaninoff’s Prelude in Gm is remarkable in it how well it fits the guitar without giving up its musical essence. The only caveat is that it needs a 20th fret. I have a new guitar on order with the extra fret, so I will wait a few months before learning it.